Quality Custom Shoes, truly Affordable Price. Our CM fitting process finds your perfect size and fit in 15 mins! We offer a wide range of sizing/width with our shoe fit template. We even further customize the templates to create a better fit if needed. 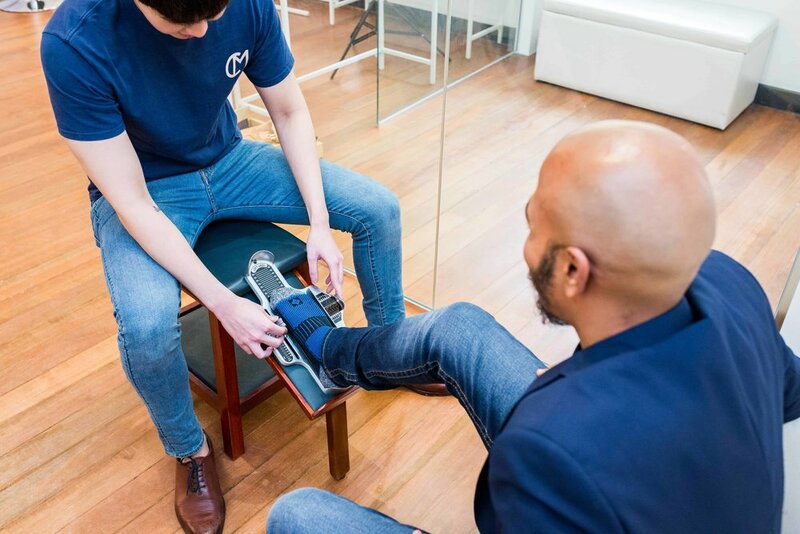 Our fitting experts would measure your feet and recommend you the best size. Sit back and just let us guide you through the quick fitting process. No sweatshops, No cold mass production factory lines. Our shoes are handcrafted by a team of passionate craftsmen. 5 reasons to choose us! We have a wide range of colors and designs for you to choose from! And a personalized fitting process. Experience guided and personal attention each step of the process to help you find THAT shoe in less than 30 mins. Using only genuine full grain leather for our uppers, soles and lining, experience maximum breathability for your feet, keeping it cool in a climate like Singapore. Additionally, full grain leather over time would mold to the contours of your feet, giving you a truly customized comfort and fit. With over 20 styles and 8 colors, find your perfect shoe easily. From Oxfords, Wholecuts, Adelaide, Derbys, Monkstraps - Single & Double. Clean classic looks to full brogues. From black to four different shades of brown to burgundy colors, It is a one stop shopping experience. Go about your days and weeks without worrying about your shoes breaking down. No cemented/glued construction that breaks down after a heavy downpour. offering a durable construction that doesn't split easily. For each size, we have three different shoe last (templates). We even do standard customization on our shoe templates to fit you better. Just sit back, relax and let us handle the fitting. nothing beats checking out our designs, colors and quality in person. No obligations. find out more about us by clicking on the links below! We offer a wide range of sizes, templates and even added fit customization. Walk comfortably with better fitting shoes. Find out more about our process. 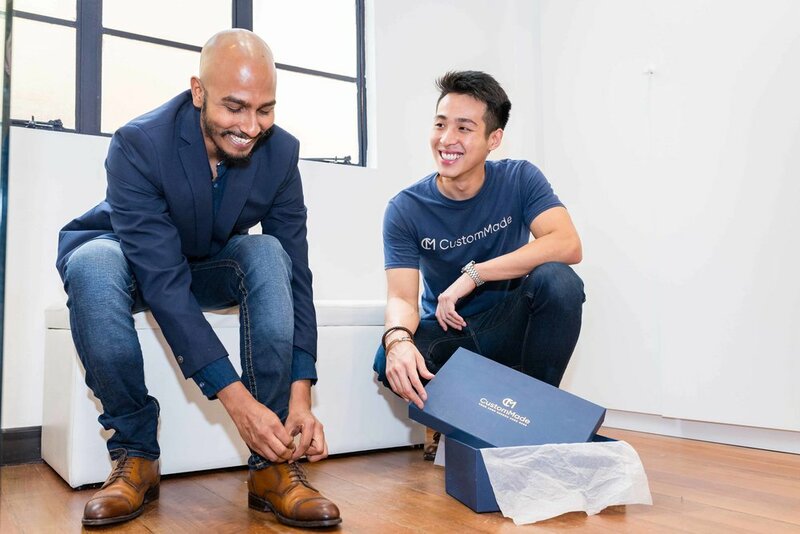 CustomMade is a bootstrapped start up with the mission to personalize shoe shopping for men at an affordable price. Find out how we started CustomMade, our value and the stories behind out team! CustomMade shoes in the wild. A gallery of images of our finished shoes, professional and amateur. Behind the scenes of some of our events, customers and our team at CustomMade. We welcome walk ins on weekdays! do give us a heads up first though. Restaurants on the right: Dong Fang Hong, a Chinese restaurant and PAGI SORE, an Indian restaurant.